My Crème de la Mer: Brightening Collection? 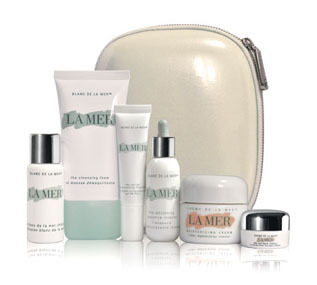 In China the Blanc de la Mer range is not only available, but being celebrated in full swing, with gift-sets galore! This limited edition gift set, called the "Whitening Collection", is currently available exclusively in China - and has me pondering if we will be receiving similar sets here in the future?